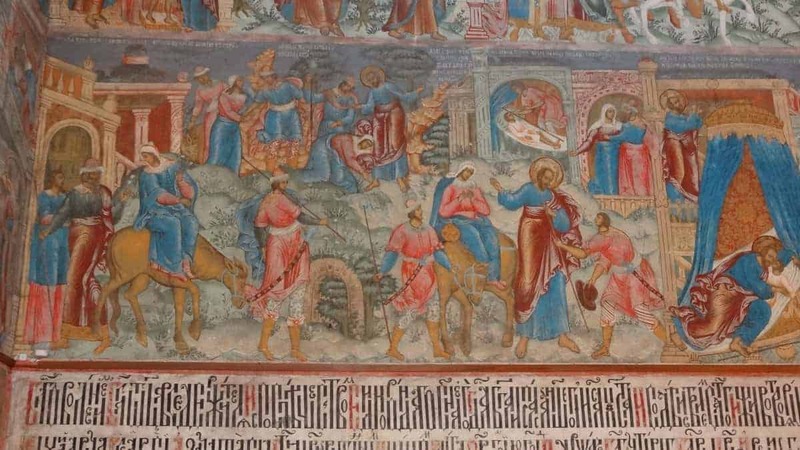 This spectacular church was built between 1647 and 1650 by brothers Anikey and Nifantey Skripin, who were extremely wealthy traders in Siberian furs. 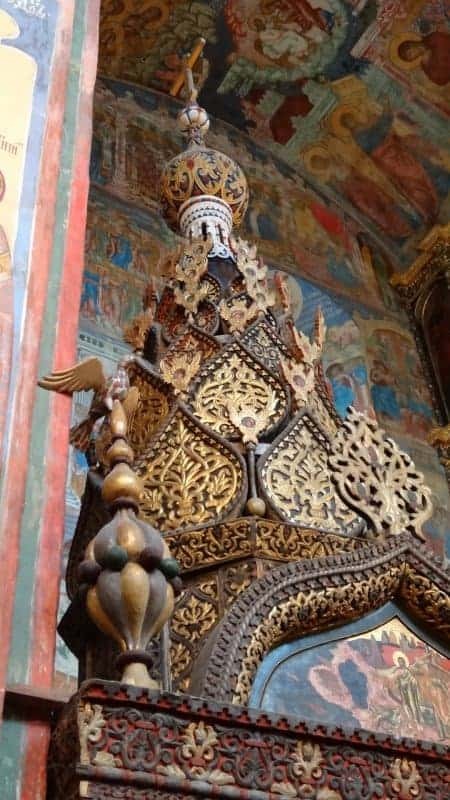 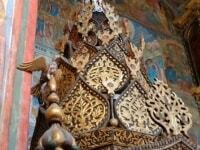 The merchants of Yaroslavl tried to outdo each other in bestowing on the city elaborate churches built not only for the glory of God but also for the prestige of the family who commissioned the structure. 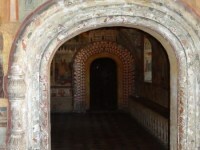 The exterior of the brick-built Elijah church is typical of the Yaroslavl style of the period. 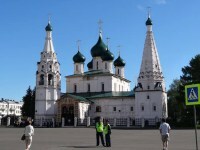 The central part bears five blue-green domes, balanced by a bell tower and a tent roof tower, which is constructed over the side Chapel of the Deposition of the Robe. 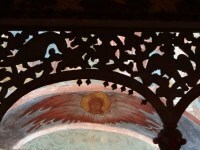 A small chapel at the rear has its own domed roof. 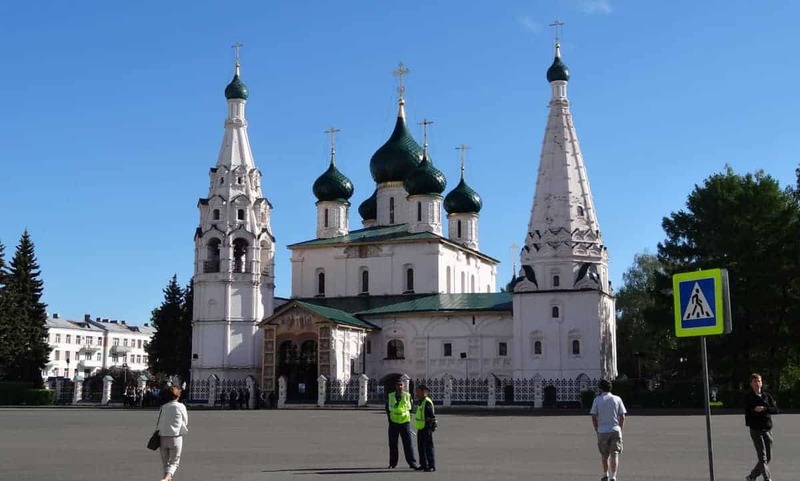 The church is located on the site of an earlier wooden structure facing the main square of central Yaroslavl (opposite the rather brutal concrete Soviet-era Town Hall). 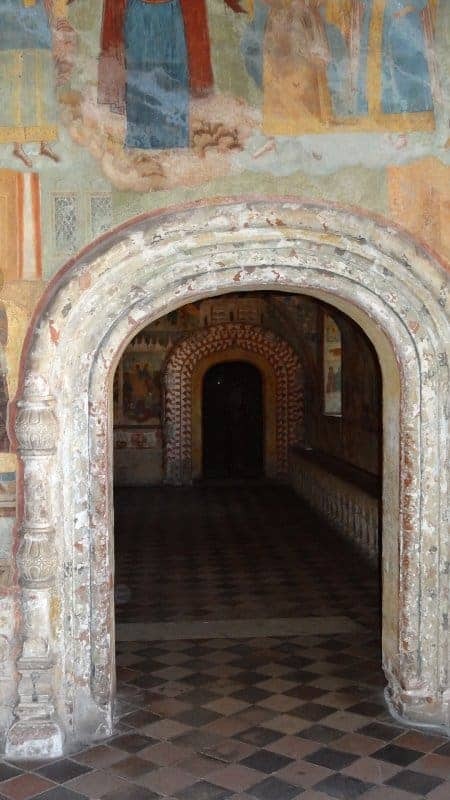 The interior decorations are outstanding and unusual. 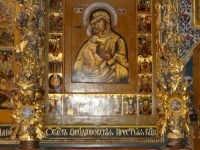 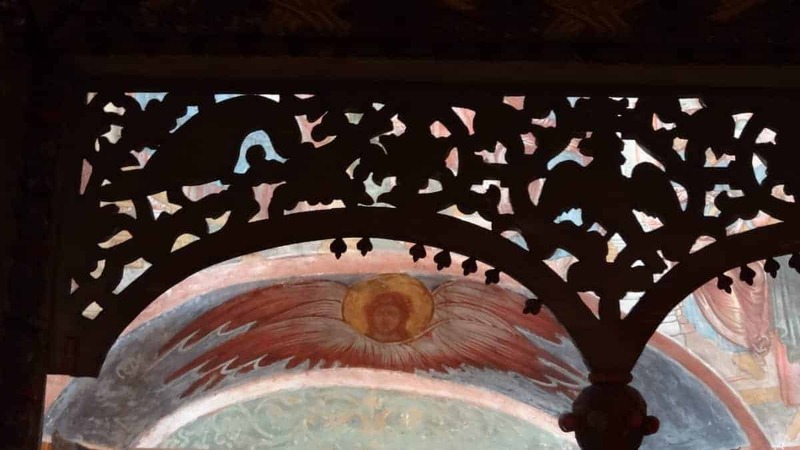 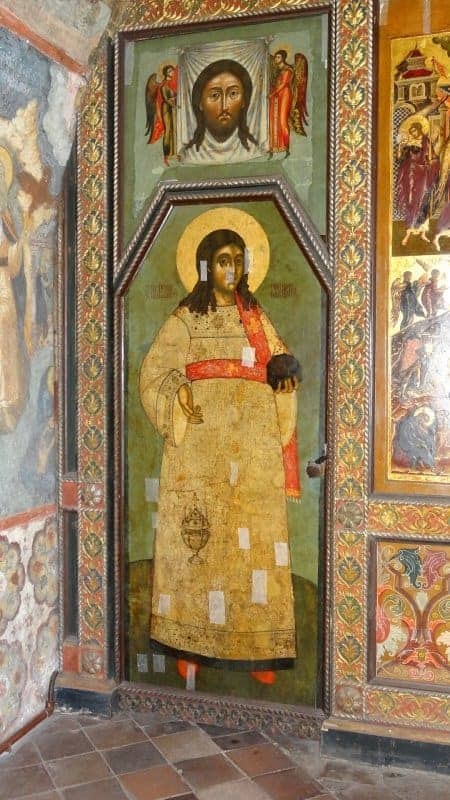 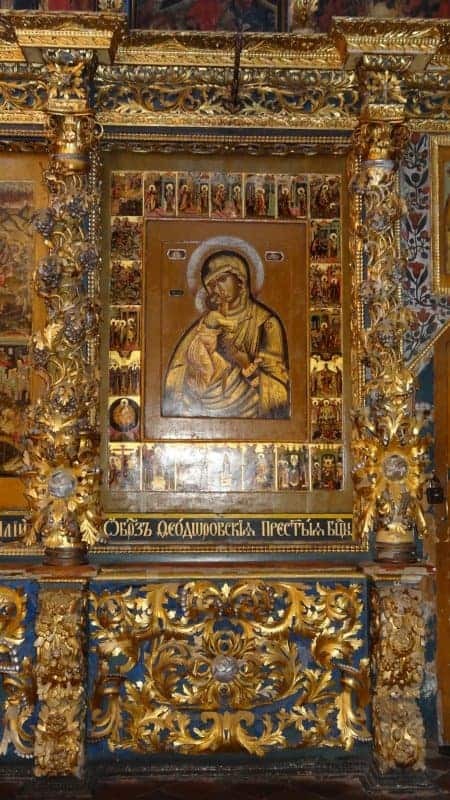 There is the usual elaborate Iconostasis, but especially remarkable are the frescoed murals which were commissioned in 1680 by Ulita Makarova, the widow of Nifantey Skripin. 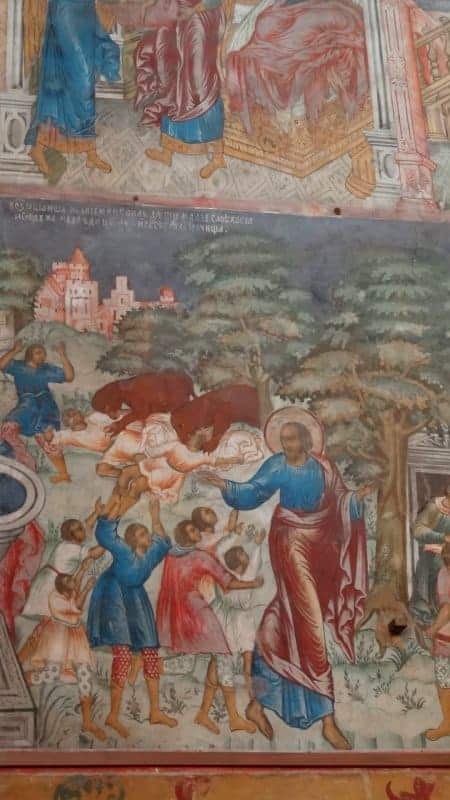 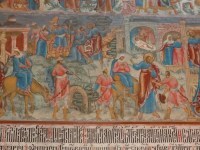 These depict not only the life of Elijah but also domestic life in 17th-century Russia, with scenes showing birds, animals, weddings, hunting and everyday work. 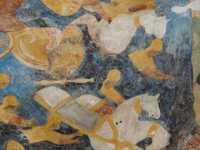 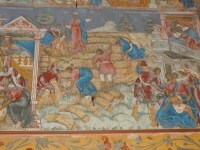 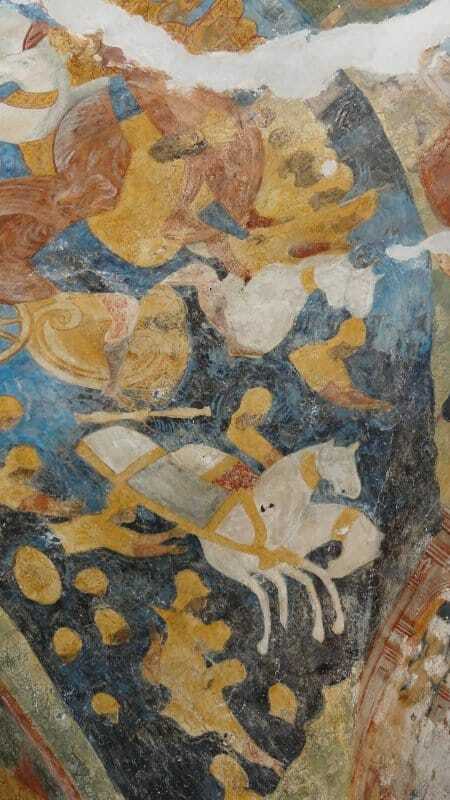 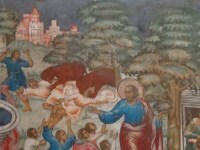 One of the best preserved murals shows peasants working at harvest. 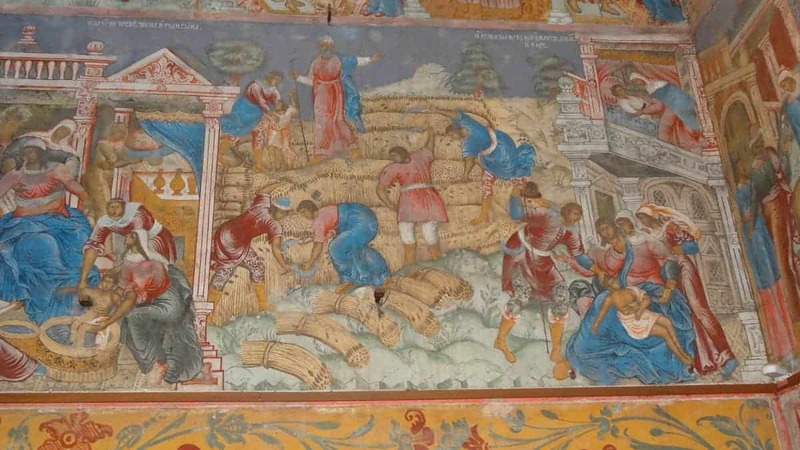 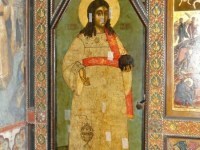 This was an innovation, as earlier it was not allowed to illustrate the life and work of peasants on the walls of a rich church such as this.